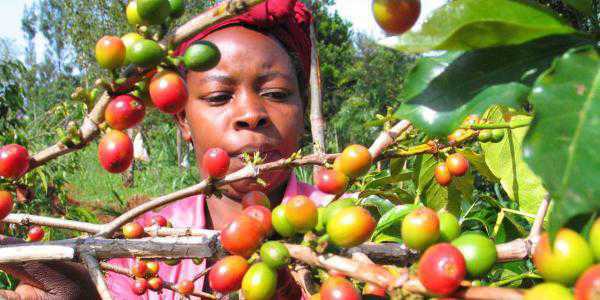 The coffee sub-sector has been registering a sharp decline in production and the latest official figures show Kenya is far behind other East African countries like Uganda and Rwanda in terms of growth of the sub-sector. Coffee production is expected to improve this year if the weather continues to favour the crop, which has started showing signs of higher yields after continuous rains. Heavy rains have been experienced in most parts of the country for the past two weeks. While Uganda and Rwanda recorded 36 per cent and 17.6 per cent growth, respectively, in 2017, according to a report released recently by the Coffee Sub-Sector Implementation Committee (CSIC), Kenya could only manage 3.2 per cent. And this was below the recorded production for the entire continent, which the report says was at 12.3 per cent growth. Ethiopia, another leading coffee producer, had 16.3 per cent growth. In January, the national and county governments agreed to work together to improve coffee production at a meeting CSIC had convened. The committee has been charged with the work of reviving the sub-sector by implementing various reforms. Although high cost of farm inputs and poor payment that is always delayed have been cited as some of the main reasons for the low production, farmers in central Kenya where most of the Kenyan coffee comes from, have also blamed hostile weather. For the past three years, rains either delay or are not adequate. Other times, frost is experienced. On Friday, Sunday Nation interviewed farmers in Nyeri who said they expect higher yields this season. Coffee flowering occurs during the rainy season. In central Kenya, long rains usually come in March and when they are late, flowering is always affected like last year. “The rains have come at the right time this year and flowering has started well. Last year, things were different as the rains came in April,” a farmer, Mr Julius Wahome, said. Nyeri County Executive for Agriculture Henry Kinyua was also optimistic that coffee production would improve this year. “Coffee has blossomed and the flowering looks very impressive,” said Mr Kinyua. However, growers are now supposed to be applying fertiliser in their farms, but some are yet to access the subsidised input from the national government. The cheap fertiliser, Mr Kinyua said, is available at National Cereals and Produce Board depots in Kiganjo and Sagana. Farmers have been accusing officials of their co-operative societies of preferring to buy fertiliser from retailers to make profits.